Personalized mothers necklace hand stamped with baby’s name and birthstone – a sweet adoption gift for a new mommy to cherish for years to come! 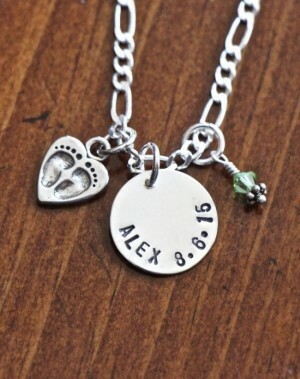 Circle measures 5/8″ – personalize with up to 1o characters. 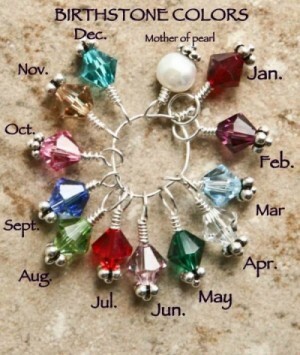 Swarovski crystal birthstone dangle or pearl. Heart with baby feet charm. 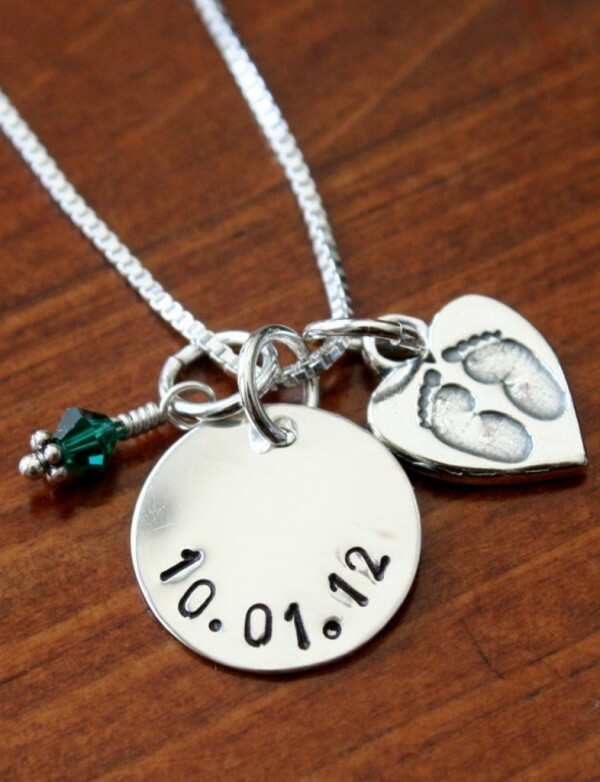 Category: Surrogacy & Adoption Jewelry. 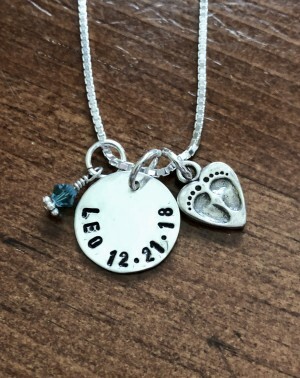 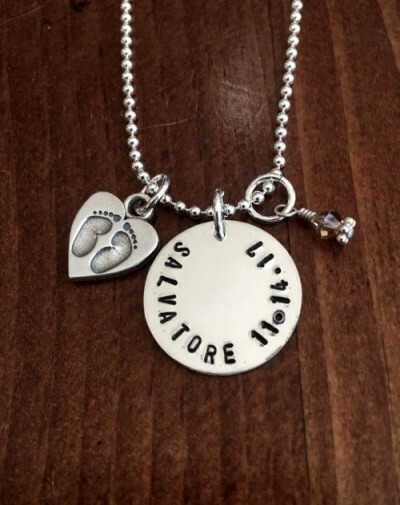 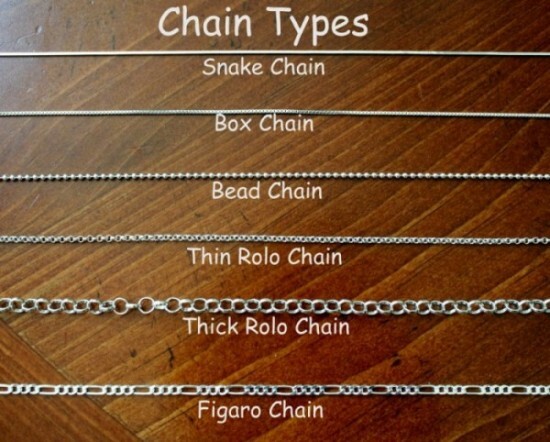 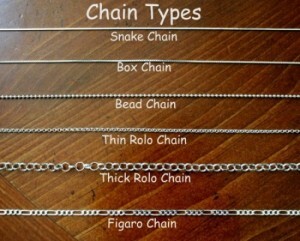 Tags: adoption necklace, baby feet, mother's necklace.